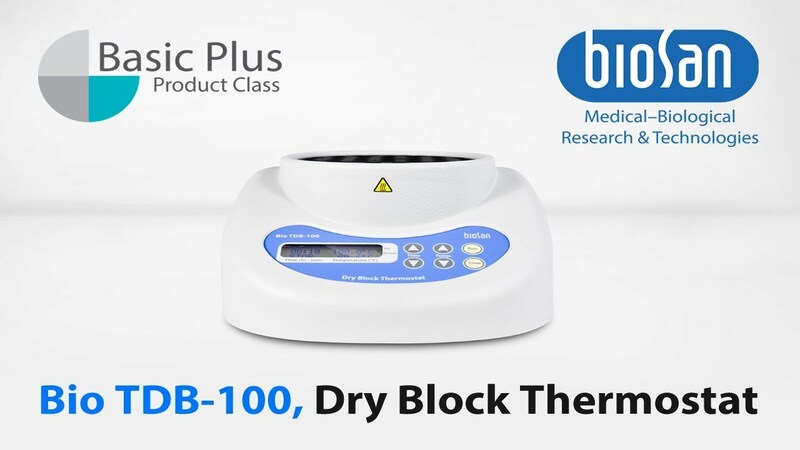 Bio TDB-100 is a compact easy–to–use dry block thermostat designed for long incubation processes at various temperatures. The universal aluminium block can accommodate 3 most popular microtest tubes' types. Simultaneous indication of set and actual temperature and time.